Looking for a zipline canopy adventure? "This was the highlight to my kids' summer vacation." "We had a blast, our shy kids even warmed up to our guide. All of us said to one another afterwards, 'I had so much fun.' Well run business!" "We have used different outfitters throughout NC over the past 12 years. Green River is a top notch business. Would definitely recommend you to all our friends!" "The guides were excellent and really took the time to make the experience amazing." "Everything was well communicated, clear, and easy to understand. The guides were fun, nice, and very attentive to all of the group member's needs and experiences throughout the trip." "Your operation is professional and organized, you provide amazing experiences, and all your staff was polite, personable and fun. We'll be back!" "Every one of our guides were INCREDIBLE! Personable, knowledgeable and very helpful from getting us suited up to helping us down river. Excellent isn't a high enough rating! Excellent ++." "We had a blast, everything was so well organized and our guide was terrific. The whole family had fun and can't wait to do it again. Thank you!!!" "My kids have not stopped talking about it yet! Even though we paddled through a downpour most of our trip we really enjoyed it. Very impressed with friendly, knowledgeable staff! Looking forward to our next adventure." "Awesome guides...I've been on this trip 4 times with different family and friends. Every single time is a blast and the Guides go above and beyond with excellent service and instruction. I have recommended to many friends...love what you do...keep bringing new trip/hikes. Awesome team!" "The guides are all very friendly and helpful. Timmo was a big hit with our 5 year old. He had our 8 year old rafting like a pro. Best water experience ever. Can't wait to do it again!" "I have been around the world on adventure travel. GRA gives a world class experience, in a gorgeous setting, with the best equipment and safety procedures that I have seen anywhere." "The staff was very helpful, in setting up two groups for two different adventures. Our Guides were outstanding. Troop 66 had a great time, the boys have already decided they want to come back and do it again."  "Great trip all around, very knowledgeable and pleasant staff and guides. Will be taking this trip every year, best river guided tour I've found so far!"